I first made and fell in love with these when I had my Italian cafe. 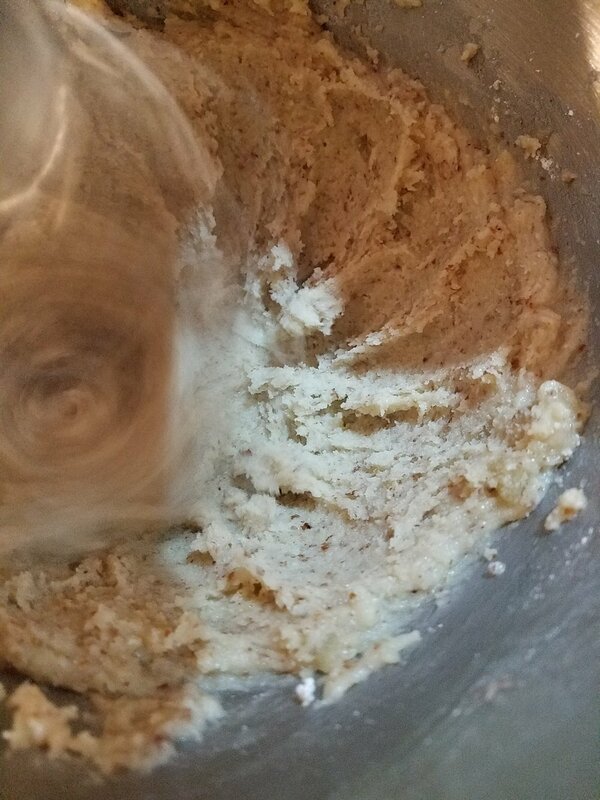 I found the recipe in a cookbook of my mom's and out of curiosity (and my passion for almond paste) I had to try them. 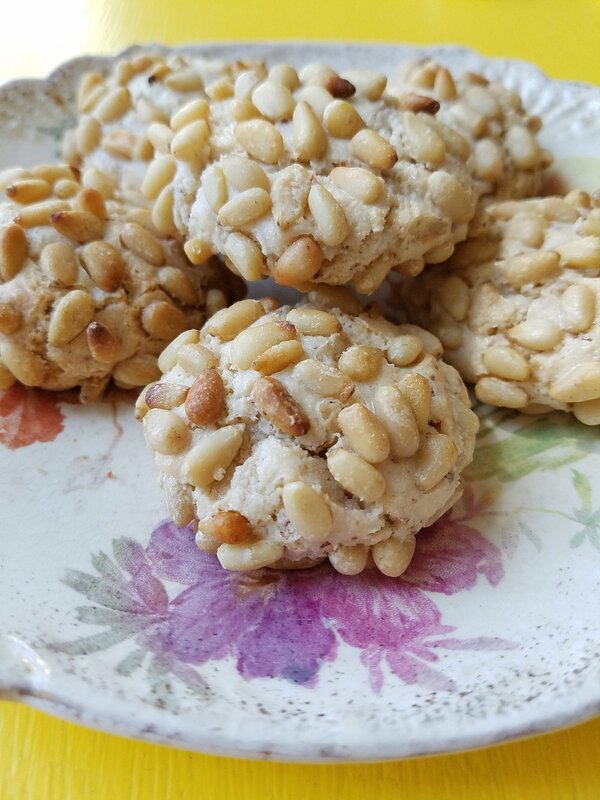 They are simple to make and even simpler to eat with a soft texture on the inside and a light crispiness on the outside....you would never know that they are gluten free....yay! They are perfect for coffee or a teatime get together, an after dinner dessert or weekend morning treat....or maybe just a little mid afternoon indulgence. They are just one more happy reason for me (and you) to love Italy - the country that almost doesn't give any other country in the world a fighting chance when it comes to gorgeous edible works of art. You can't go wrong! Mangia! 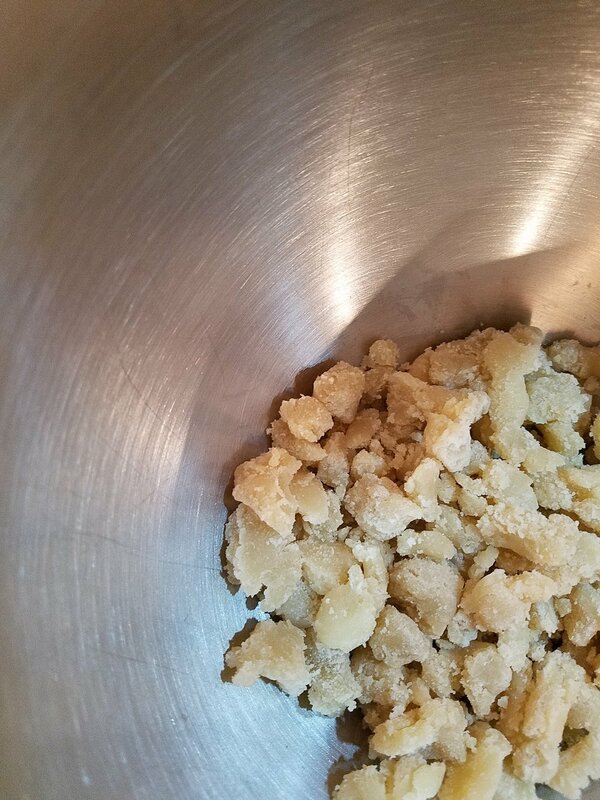 1. in a large bowl of an electric mixer, crumble the almond paste. 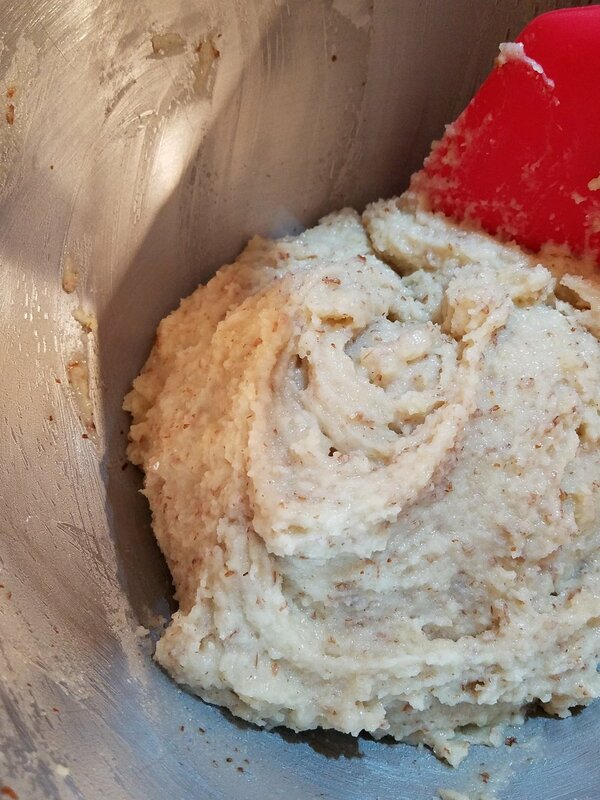 On medium speed, add in the ground almonds, egg whites and the 1 cup powdered sugar and beat until smooth. 2. Scoop up a tablespoon of batter at a time. 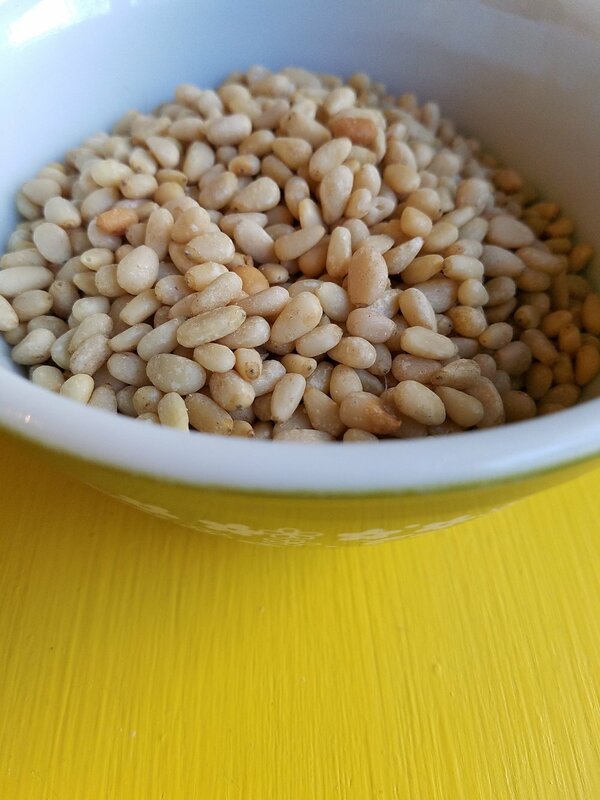 Roll the batter in the pine nuts, covering it completely and forming a ball. You can dampen your fingers lightly with cool water to prevent the batter from sticking to your hands before rolling in the pine nuts. Place the finished cookie on a parchment lined baking sheet and then repeat with the remaining ingredients, placing the cookies about 1 inch apart. 3. Bake at 350 degrees for 18-20 min or until lightly browned. Let the baked cookies cool for a couple of minutes before transferring to a wire rack. Buon Appetito! And remember....these cookies go well with wine!